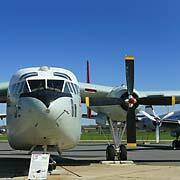 The Air Mobility Command Museum is located at the Dover Air Force Base in Dover, Delaware. 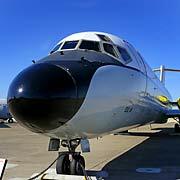 The Air Mobility Command Museum has a primary focus transport aircraft, but they have a good deal more. On site is a restored WWII B-17G Flying Fortress, an F-101 Voodoo, and F-106 Delta Dart, a Boeing Stearman, a Waco Hadiran Glider nose, and a Husky Helicopter. The aircraft indoors are in awesome cosmetic shape and they have done a diorama around the C-47 Skytrain is just first class and is as well done as those at the USAF Museum in Dayton. But what surprised me most is that you can get into several of the aircraft. Volunteers just about compete with each other to take you on a tour of their aircraft. I got inside the C-47, the KC-97, and the C-141F. Where else can you walk up the length of WWII C-47 up to the cockpit and look out the windscreen and see a Boeing B-17G? While I was there volunteers were busy restoring the interiors of several other aircraft and if I had time I would have been able to get into at least two other aircraft. They have a very active group of volunteers and their restoration work is first class. The interiors of the aircraft I was able to get into were very complete and work was continuing on detail and other interior work. When you visit the museum you must have a look at the before and after photos of the Douglas C-47 restoration. When they acquired the Skytrain it was a complete basket case! The volunteers and staff at the Air Mobility Command Museum are very enthusiastic about their aircraft and go out of their way to not only tell you about them but to get you inside some. 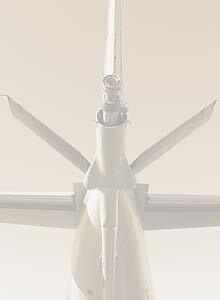 Most of the aircraft are in excellent condition, and those that are less than that look like they are being prepared for paint and other cosmetic work. It's kind of surprising how clean they are as washing something as big as a KC-97 is no small task! 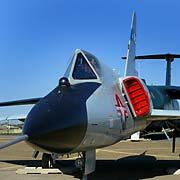 The Air Mobility Command Museum is located on the grounds of the Dover Air Force Base in Delaware. There are a couple of fast food places a few miles north but no food on site other than vending machines. The museum has picnic benches outside and a few tables in the break area if you bring your own lunch which I'd recommend you do. Also in the break area are spec sheets on almost all the aircraft at the museum. I wish all the museums did that. The museum has a gift shop that looked like it had a good selection of aviation related stuff. Be sure to get there well before closing as I waited until 3:45 to check it out and they were already closed. 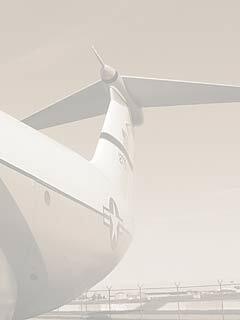 The Air Mobility Command Museum is open Tuesday-Sunday 9-4, but check the museum's Website for up to date hours and directions. If you're interested in aviation and want to get onboard some very historic and impressively restored aircraft, make the trip down there. The staff are happy to see you and are deservedly very proud of their aircraft.